CRVMC welcomes several new members of our team. Dr Marelene Oelofse is our latest GP Registrar who brings 20 years of healthcare experience. 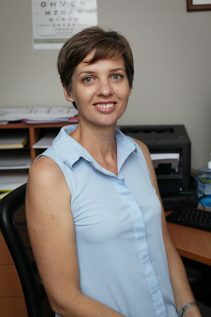 Mary-Ellen Hanratty is an Accredited Practising Dietitian who offers this service fortnightly. Also Inger van Merm (reception), Jodie Chiellini (nurse) and Natalie Green (nurse) have joined the support team. 2018 brings some new faces to our surgery. Let us introduce Dr Andrea van Rijn and Dr Emma Smith. Dr van Rijn is an experienced doctor with procedural skills in anaesthetics and a special interest in paediatrics. Dr Smith is our latest GP Registrar who has spent much of her life in regional WA and has nearly completed a Diploma of Royal Australian College of Obstetricians and Gynaecologists (DRANZCOG). Both of our new doctors are now available for appointments. We also welcome our new practice nurse Kim Sands as well as a welcome back to Deb de Angelis at reception. Wishing all of our patients a very Happy and Healthy 2018! Have You Met Our New Doctors? CRVMC would like to extend a warm welcome to Dr Jonathan Ackinclose and Dr Philip Urquhart. 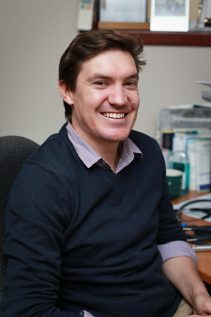 Dr Ackinclose is our latest GP Registrar and brings with him a wealth of experience in the health industry. 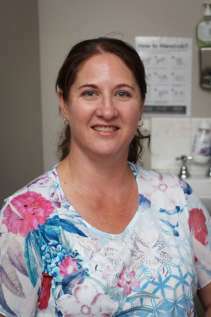 Dr Urquhart will be here in Collie until midyear and then moving to our Manjimup practice. He has extensive experience with paediatrics and surgery. We wish them well with their stay in Collie. Each January, many health and wellness resolutions are made. Big goals are set like losing weight, exercise more, quit smoking, eat healthy and taking better care of your health. The problem with broad goals is simply that – they are too difficult to achieve. Setting more specific resolutions have a better chance of success. Collie River Valley Medical Centre offers a wide range of services that may help you achieve this. A GP can counsel on a range of health subjects including how to quit smoking, weight loss or be able to advise you of other health professionals that could guide you on achieving your goals. We also offer a range of preventative health clinics including skin cancer checks, hearing tests, health assessments, diabetes education, asthma monitoring, cancer screening and coordinated management plans. There are regular allied health visits by an audiologist from ACCB Hearing, counsellors (Integrity Counselling and SJOG Drug and Alcohol Counselling) and exercise physiologists (injury and weight loss). 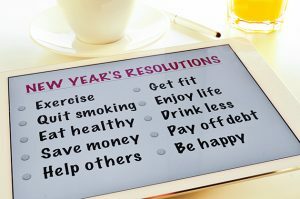 Set your resolutions, book an appointment (9734 4111) to discuss any health goals with your GP and put the plan into action. Have a very Happy and Healthy 2017!